I will be an Assistant Professor of Emergency Medicine and Mechanical Engineering & Materials Science at Duke University starting in July 2018. It will be a dual appointment through the Schools of Medicine and Engineering and I will have both engineering research and clinical roles. My lab will be based out of Duke Robotics and I am starting to look for interested grad students and post-docs to start Fall 2018. 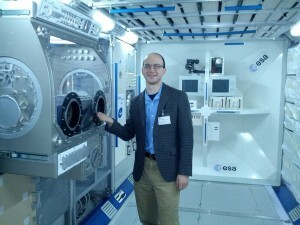 My research focus will be medical technology development for human spaceflight and medical drones. Thanks to all the friends, family, and US taxpayers who have supported me through this 30 years long, strange trip through the American educational system. This entry was posted in Uncategorized on March 9, 2018 by DanB. Sarah Miller and I wrote a primer on training and differing ways of thinking between MDs, Engineers, and Life Scientists. Abstract: Many of the failures in communication among physicians, engineers, and life scientists may be due to the differing ways that they approach problems. More than mere personality differences, physicians, engineers, and life scientists are trained with different problem-solving philosophies and strategies. This chapter discusses these differences, provides several example problems that characterize these three different ways of thinking, outlines the corresponding differing approaches to failure, and concludes with a glossary of some terms that are used in different ways across these three fields. This entry was posted in Uncategorized on February 28, 2018 by DanB. It is time to start planning my career after residency and considering in more detail how my skills as an physician-engineer could support a university or company. I would appreciate suggestions or contacts that could lead to a dual appointment in engineering and clinical departments in an academic institution or a similar setup in industry. 3. Willing to add my own research portfolio and/or support existing research projects that need clinical expertise in the engineering domain (or vice versa). Please send a private message or email if you prefer not to comment directly on this post, and thank you in advance! This entry was posted in Uncategorized on March 13, 2017 by DanB. I recently matched into an Emergency Medicine residency at George Washington University Hospital in Washington DC to start in June 2014. I’m looking forward to the new challenges and experiences in a new city and position. This entry was posted in Uncategorized on April 2, 2014 by DanB. Emergency Physician Monthly: EP’s in Space! This entry was posted in Uncategorized on September 19, 2013 by DanB. I’m honored to accept a Frontline Scholarship from the generous benefactors of TEDMED. I look forward to being in DC next month to meet some of the people on the forefront of medical innovation. This entry was posted in Uncategorized on March 12, 2013 by DanB. Yesterday (Feb 21) I gave a presentation at the ESA European Astronaut Center in Cologne, Germany on using ultrasound for spaceflight imaging of the spine. I was mostly talking to the students in the King’s College London Space Physiology & Health Masters Program. As part of their year-long program the students, about 9 every year, travel to the EAC to learn about operational space medicine in Europe. The goal of the program is to produce Biomedical Engineers conversant in space medicine who can then go off to work in commercial space or in their local space program. If they can’t find jobs in human spaceflight then the program also prepares them to work in a physiology lab. It seems like a very robust degree program, and also an indication that commercial human spaceflight is drawing enough interest that students are willing to spend tuition and time to be prepared to work in the industry. And, if I can go by the types of questions I was asked after my presentation, the students and faculty are well prepared. This entry was posted in Talks on February 22, 2013 by DanB. I plan to use this space as a hub for my work. Blog posts will probably point to news items and mentions by others. This entry was posted in Uncategorized on February 11, 2013 by DanB.